Maple Sugar: From Sap to Syrup is a perfect gift for maple lovers, young and old! 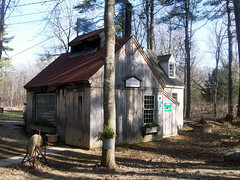 Discover the history of maple sugaring, learn to identify various kinds of maple trees and discover how to tap your own trees and make your own syrup. 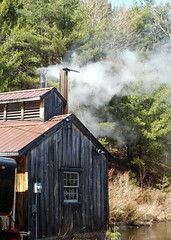 If you live in New England, you can't help knowing that we're in the middle of maple sugaring season! 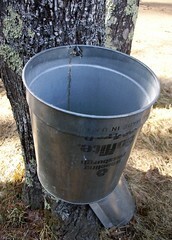 I'm sure you've seen the sap buckets attached to trees or the (more commercial means) miles of tubing used to drain sap into a tank that feeds directly to a sugarhouse. Last weekend was the annual NH Maple Producers Open House and while I didn't make it this year (photos included in this review are from my sugar house visits last year), I am still very much enjoying the season! 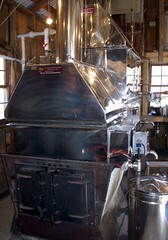 I've always loved maple syrup and really enjoyed getting the up close look at the process last year. The sugar house visits were not only fun, informative and delish (there were samples to gobble up everywhere), but they left me intrigued to learn more about the process. Maple Sugar: From Sap to Syrup helps me do just that! With large color photos and illustrations throughout Maple Sugar: From Sap to Syrup, the book is sure to keep the attention span of even the young maple lovers in your house. It's a fun read and even if you're not into tapping your own trees, there is still a lot to learn... and cook! Indulge yourself with over 20 tempting recipes from traditional treats like maple nut bread, maple-glazed ham and baked beans to fun beverages like maple egg nog, maple fizz and hot maple apple cider. No, they didn't forget the desserts... maple fudge, maple cream and maple sponge cakes are just a few of the delights you can try at home. Perhaps maple syrup is your sweetener of choice? If not, you might want to consider it... a one ounce serving of maple syrup has just 73 calories, while the same serving of honey has 85! It's not just for pancakes anymore! 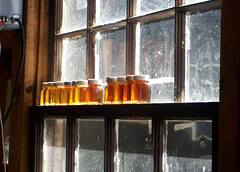 Whether you're looking to learn about the history, want to get out there and make your own syrup (keep in mind that it takes 40 gallons of sap to produce just one gallon of syrup - which is why I don't mind buying it from my local sugar houses) or just want some new maple recipes to try, pick up a copy of Maple Sugar: From Sap to Syrup and indulge! ETA: Maple Sugar: From Sap to Syrup is not region specific, in fact it covers the USA and Canada. It includes a comprehensive list of maple associations and festivals in the back as well. Very cool. Is it region-specific or will I find something in there about upstate NY too? Good question! I should have made it a point to mention that Maple Sugar: From Sap to Syrup is NOT region specific and it covers the USA and Canada. It includes a comprehensive list of maple associations and festivals in the back as well.